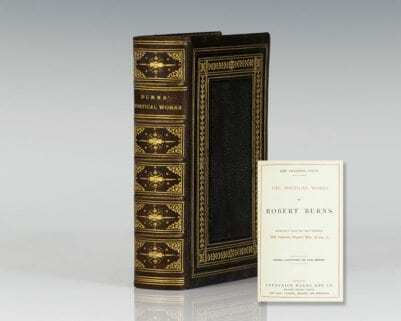 The Complete Works of Robert Burns. Philadelphia: Gebbie and Co, 1886. 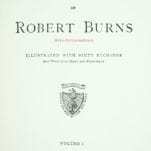 The Complete Works of Robert Burns. 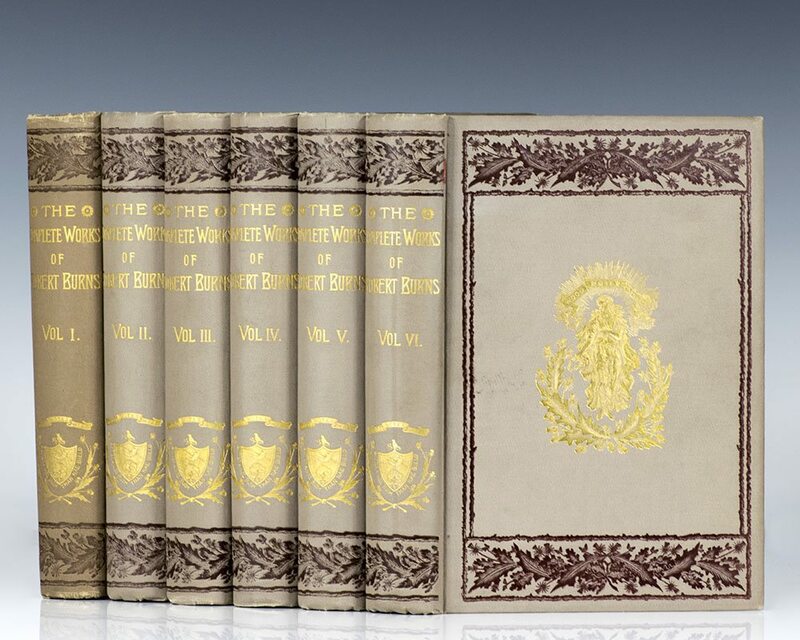 Octavo, 6 volumes, original cloth with gilt titles and tooling to the spine and front panels. 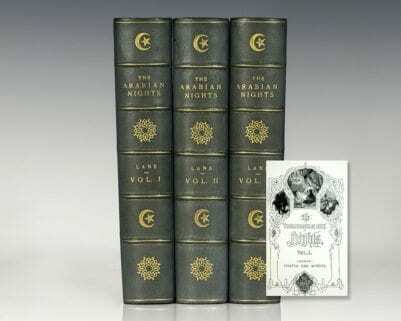 Illustrated with 60 fine etchings and wood cuts, maps and facsimilies. In fine condition. 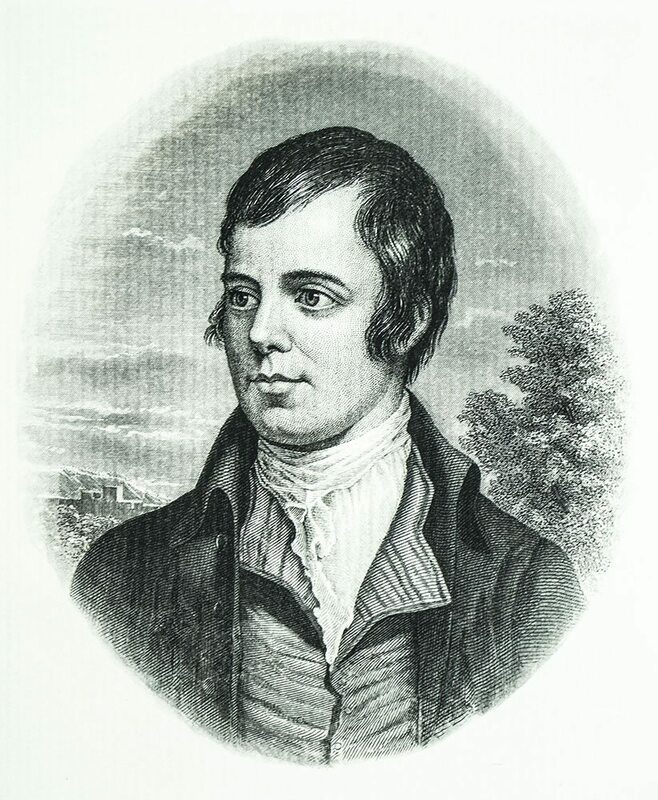 Robert Burns was a Scottish poet and lyricist. 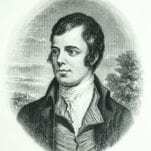 He is widely regarded as the national poet of Scotland and is celebrated worldwide. 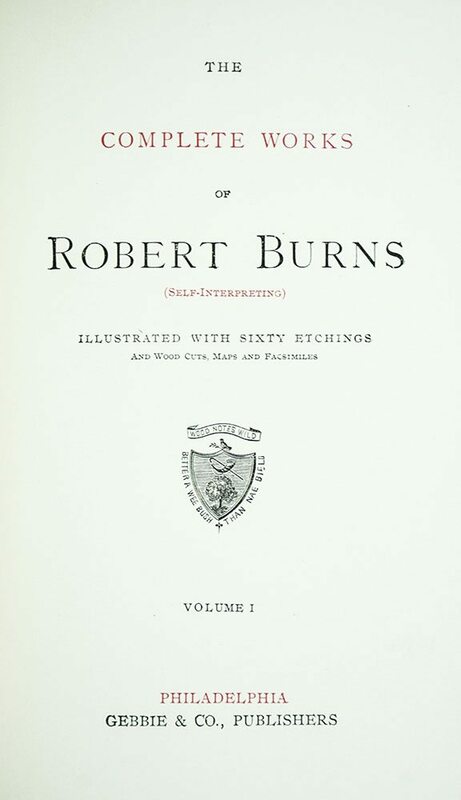 He is the best known of the poets who have written in the Scots language, although much of his writing is also in English and a light Scots dialect, accessible to an audience beyond Scotland. 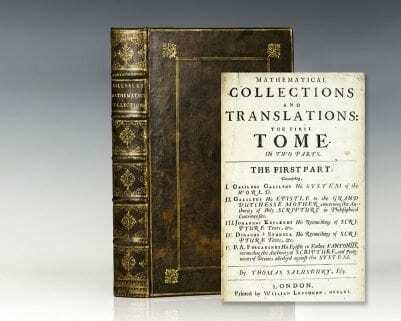 He also wrote in standard English, and in these writings his political or civil commentary is often at its bluntest. He is regarded as a pioneer of the Romantic movement, and after his death he became a great source of inspiration to the founders of both liberalism and socialism, and a cultural icon in Scotland and among the Scottish diaspora around the world. 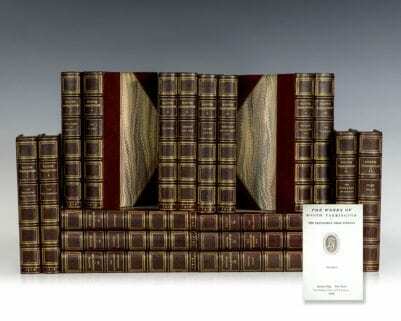 The Poetical Works of Robert Burns: With Fore-Edge Painting of New Bridge and Broomielaw, Glasgow. 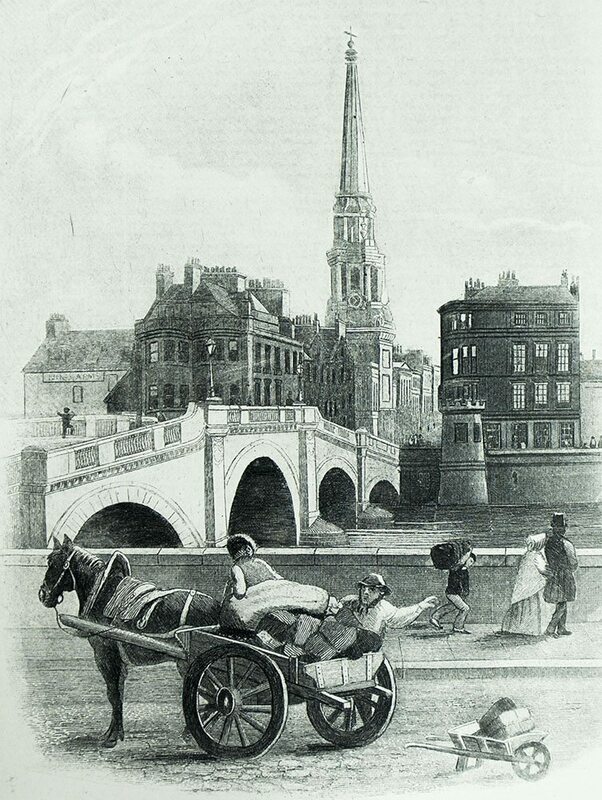 London: Frederick Warne and Company. 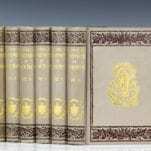 Octavo, bound in full brown morocco, decoratively bordered in gilt, spine gilt, gilt dentelles, all edges gilt. 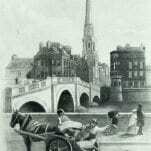 With a wonderful fore-edge painting of New Bridge and Broomielaw, Glasgow. Binding by H. & C. Treacher of Brighton. 614 pp. Illustrated.